Daisy Mae is the very first pattern I ever wrote. 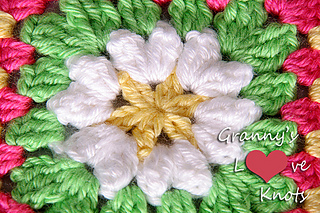 I couldn’t find a daisy that sang to my soul and worked with my need for granny squares. 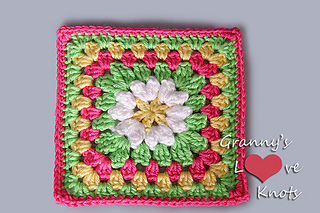 So I thought her and she was easy and pretty and all granny flowery goodness. She works anywhere you would put a granny square. She puts a smile on your face and sings of spring.